Prom night is an exceptionally unique and remarkable night in your secondary school vacation. Make the night exceptional by booking a rich limousine or a party bus from RVP Tours and head to a venue in style. We give quality prom limousine benefits all through Connecticut, including New Haven, Hartford and Fairfield County and in other parts of N.Y and N.J. Our chauffeured prom limos are exquisite, roomy, and perfectly maintained. Our Fleet of Luxurious Vehicles for Proms Includes Executive Sedans,Stretch Limos, Super Stretch Limos, Sprinters/Vans, Party Busses, Limo Busses, and Coach Busses. Pick Limos for style and security. Guardians will have significant serenity realizing that their young grownups will be securely transported to their venue by our accomplished escorts. Going to prom can be the experience of a lifetime for any young person. Teenagers daydream about their prom nights for years, even from childhood. As one of the biggest moments during their time in high school, teens envision unforgettable evenings filled with glitz, glamour, and great memories. That's why they naturally have high expectations for the evening. If you're in the process of planning a prom night for the record books, you don't have to fret about transportation requirements even for half a second. 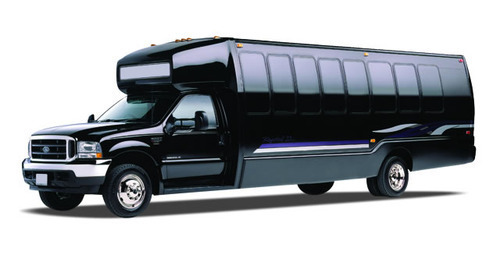 RVP Tours is a transportation company in New York and that's associated with the greatest prom car service in the area. 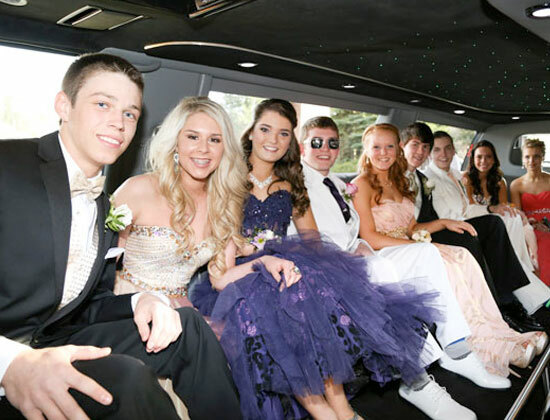 When you need a prom limousine service New York locals trust, look no further than RVP Tours. We are a company that focuses on everything from prom limousine service and special events transportation to group transportation, airport transfers, and so much more. We Can Give You the Finest Prom Service You Can Imagine! Prom transportation is critical. People want to show up to these dazzling events looking and feeling like they're on top of the world. No one wants to show up at prom in a vehicle that's lackluster and dull. If you want to enchant everyone who sees you make your big prom night arrival, then nothing can be more impressive than our professional limousine service. We present all of our customers with the most contemporary and attractive limo options possible. We offer teens limos of varying sizes, too. If you're going to be heading to prom with a date, we have a selection of compact vehicles that are perfect for couples. On the other hand, if you’re going to be arriving to prom with a bunch of your closest friends, we have vehicles that will offer you and your crew tons of space. RVP Tours is a distinguished company that knows that teens want a full V.I.P experience on their prom nights, which is why we only suggest limousines for proms that have all of the most convenient and modern features on the market. If you're a fan of amenities that can give you comfort, peace of mind and absolute bliss, you won't be able to forget our limos for a minute. Our fleet is undeniably remarkable. Teens usually have to save up a lot of money for proms. Buying a prom dress can be extremely costly. Renting a tuxedo can cost a fairly large amount of money, too. There’s also the boutonnieres and corsages, accessories, shoes, professional photos and pre-prom dinner. Those are just a couple of examples of major prom expenses. If you don't want to add outrageous limousine service expenses to your list of major purchases, then RVP Tours can ease your worries and wallets. We give people the chance to experience high quality luxury prom limo service that also works within their budget. Book your limousine with RVP Tours Now! We would love the chance to show you our luxury vehicles and for you to meet some of our professional chauffeurs. They are prompt, caring, and friendly professionals who help people in need of safe, meticulous, and trustworthy prom transportation in N.Y and beyond. Contact us now to reserve your unforgettable prom limo service!